Mansfield are improving at just the right time to mount an automatic promotion challenge, with Accrington‘s disappointing recent performances up front providing them with a potential opportunity. Forest Green are finally off the bottom of the rankings table after another convincing performance. Chesterfield have replaced them in the basement, with their decline still showing little sign of being reversed. 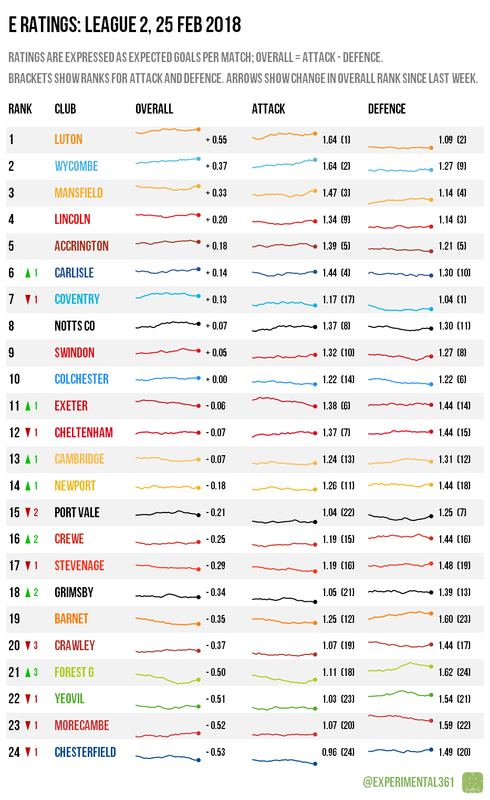 Luton remain very likely to ascend to League 1, with Accrington now marginally more fancied than Wycombe to join them. However a top three place is still the Chairboys’ to lose despite their defeat yesterday, with Mansfield being held and Notts County‘s prospects suffering from their recent dip in form. Exeter have benefited from two wins on the bounce combined with poor results from their fellow challengers and could still secure a top seven spot. 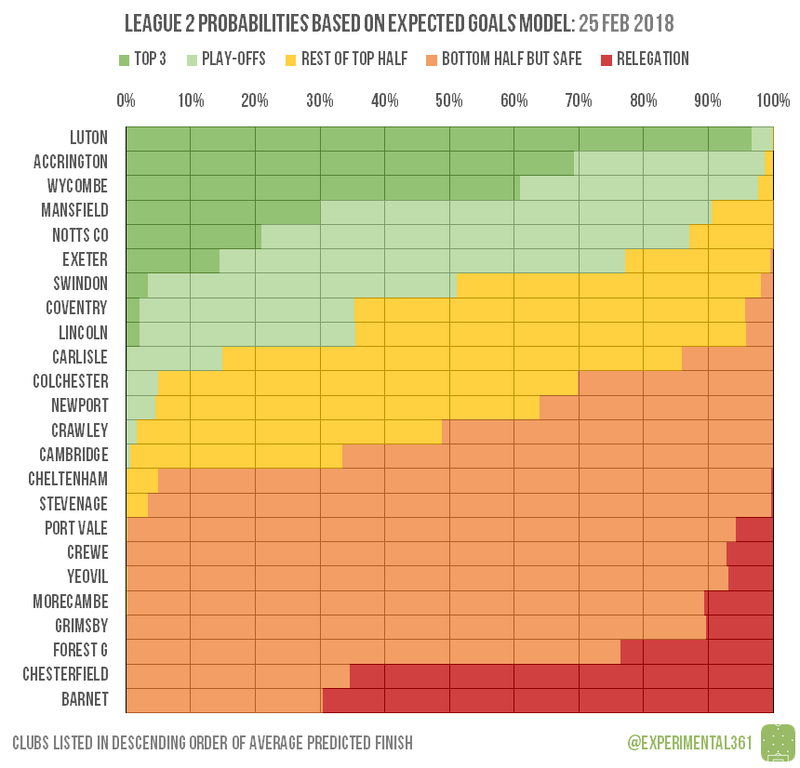 Forest Green have been improving nicely and 10 points from a possible 12 have left Chesterfield and Barnet the favourites for the drop as things stand.